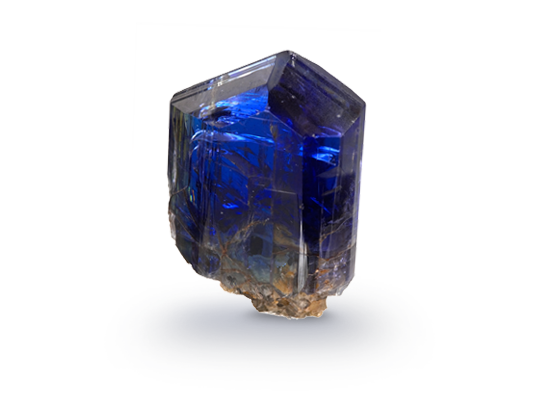 Found in just one place on earth, tanzanite is a relatively recent discovery. Tiffany & Co named this blue-violet variety of zoisite in honor of Tanzania, where it was first unearthed in 1967. 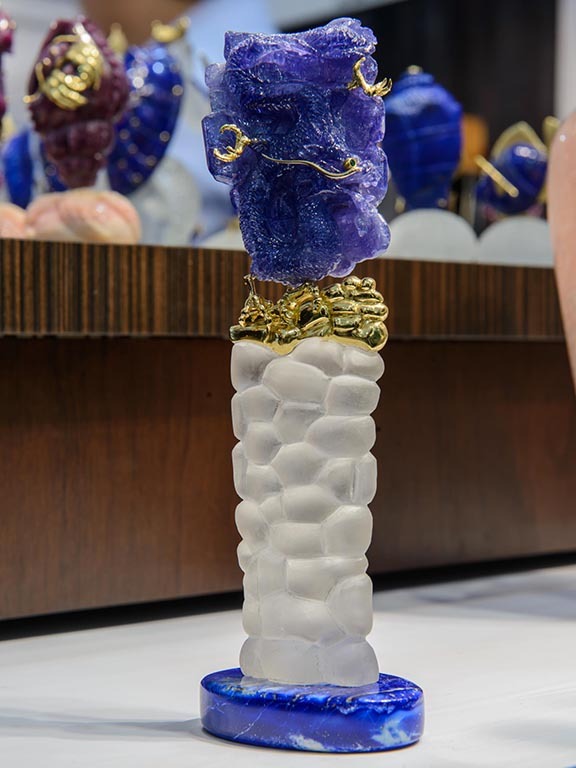 Because the crystals show different colors depending on the viewing direction, cutters can fashion gems with a range of color from violetish blue to bluish violet depending on how much weight they want to retain from the rough. 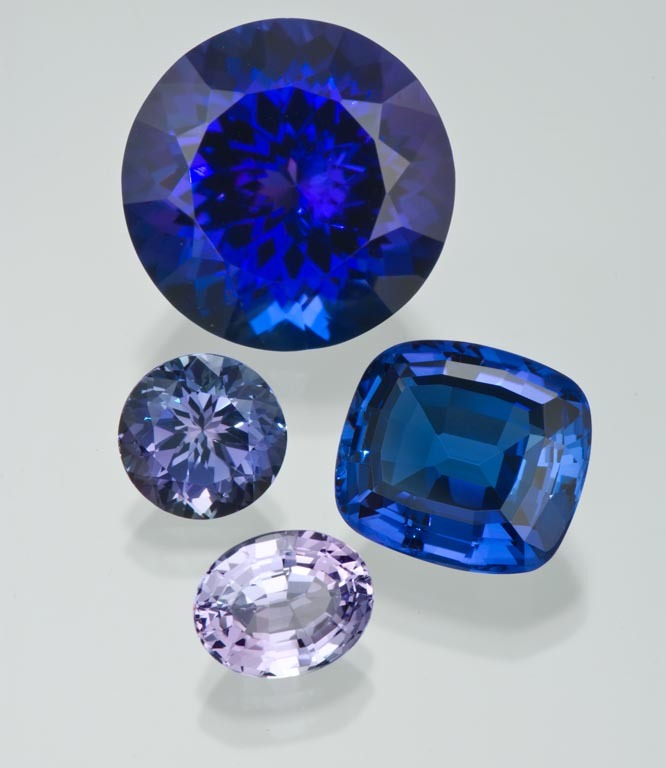 Tanzanite is a birthstone for December, along with zircon, turquoise, and blue topaz. 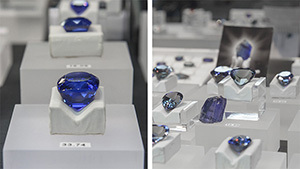 Tanzanite is also the gem for a 24th anniversary. 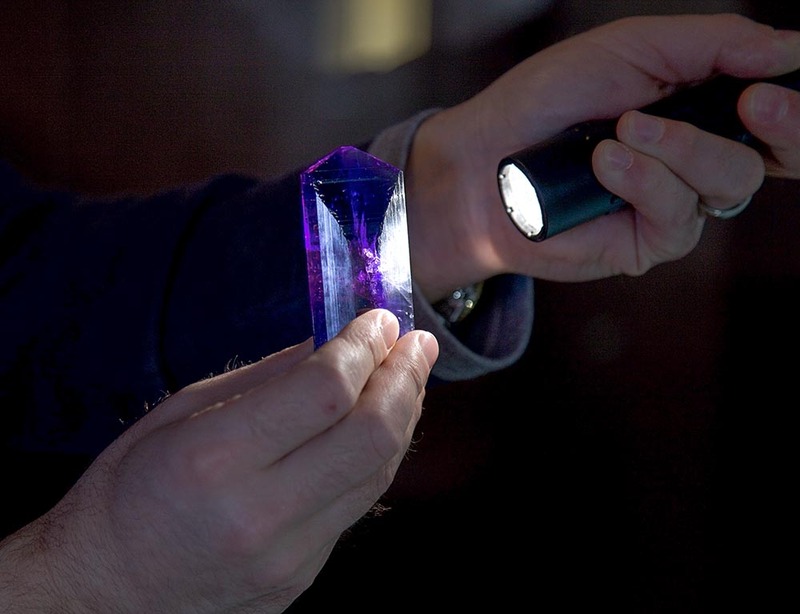 Tilt tanzanite and you’ll see three distinct colors in three crystal directions. 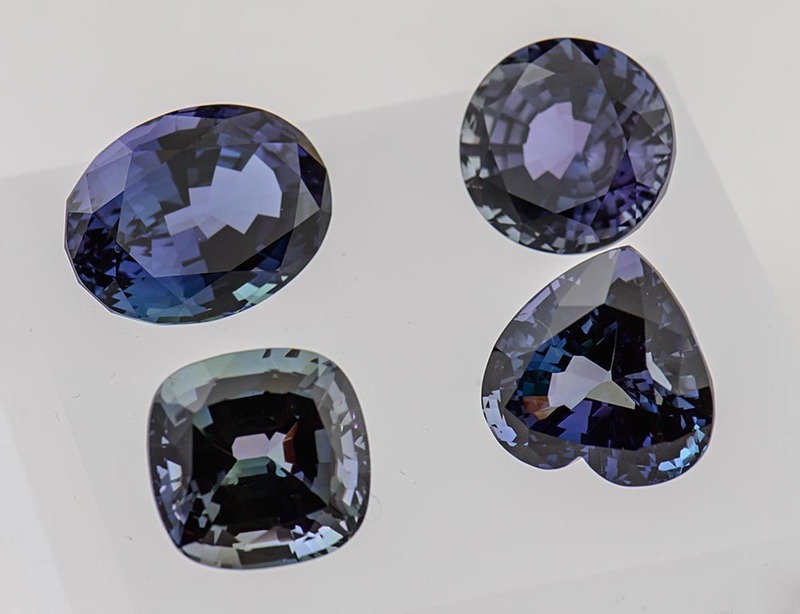 Tanzanite is pleochroic, showing three different colors when viewed from different directions. 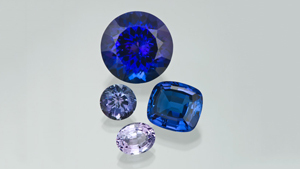 Deep saturated violet blue or blue violet are the most valuable tanzanite colors. 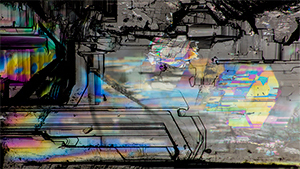 Paler hues are more commonly found. 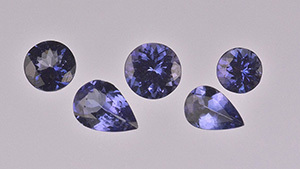 Tanzanite color is less saturated in smaller sizes. Gems must be above five carats in size to have fine color.